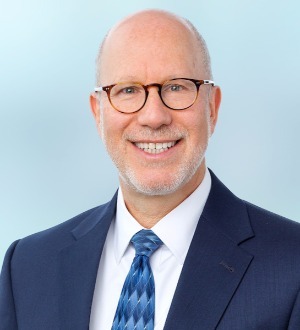 Lawrence Lerman, an attorney at Lerch, Early & Brewer in Bethesda, Maryland, chairs the firm’s Commercial Lending group and also practices in the Real Estate, Business & Taxation and Creditors’ Rights & Workouts groups. Known as a creative problem-solver, Larry is focused on closing deals for businesses and individuals from many sectors, including banking, real estate, professional services, nonprofit and religious organizations. Clients hail him as “a maestro choreographing the process” and appreciate his professionalism and efficiency in handling complex transactions. Larry, who practices law in Maryland and the District of Columbia, builds relationships and has represented some of his clients for more than 25 years. He structures and documents complex commercial lending arrangements and represents parties who are buying, selling, leasing and financing commercial real estate. He also counsels in the formation and operation of limited liability companies, limited partnerships and corporations; prepares letters of intent, contracts and opinion letters; and arranges tax-deferred, like-kind exchanges. In addition, Larry’s clients benefit from his considerable corporate and business law experience, particularly in the areas of industry roll-ups and business asset acquisitions and sales. Larry serves on the board of directors of several nonprofit organizations in Montgomery County, Md., where he resides. His involvement in the community has included leadership positions with his condominium association; his children’s private school, Cub Scout troop and Little League teams; and his synagogue. He is a member of NAIOP, a trade association for developers, owners and investors in commercial real estate. He frequently presents seminars on documenting loan transactions, commercial leasing and like-kind exchanges. Larry earned a Bachelor of Arts in economics with a minor in accounting from Rutgers University, New Brunswick, N.J., and received his Juris Doctor, with honors, from George Washington University National Law Center. He also received a Master of Legal Letters (LL.M.) in Taxation from Georgetown University Law Center. Larry and his family love to hike and have visited more than 30 National Parks.